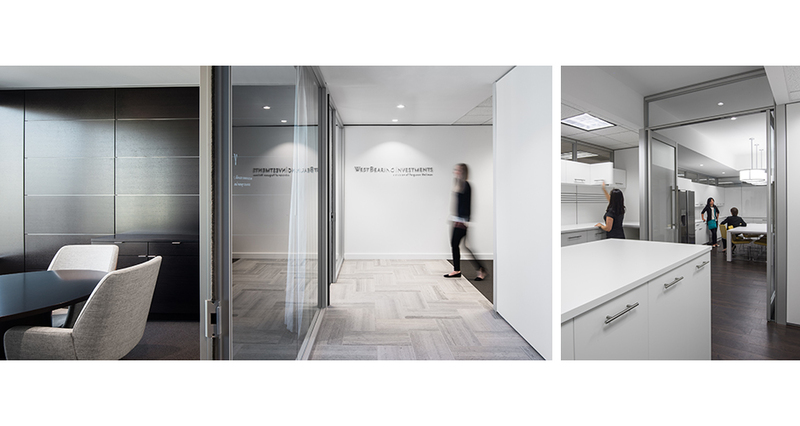 Ferguson Wellman, a leading regional financial management firm, enlisted Mackenzie to update their Portland headquarters. 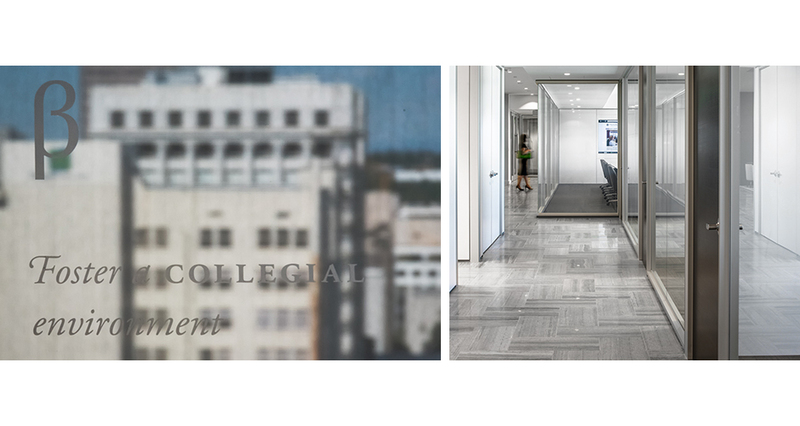 Balance was important: our objective was a forward-looking design that sustained traditional elements reflective of the company’s longstanding and successful culture, while embracing the future as new leadership naturally emerges in the firm. 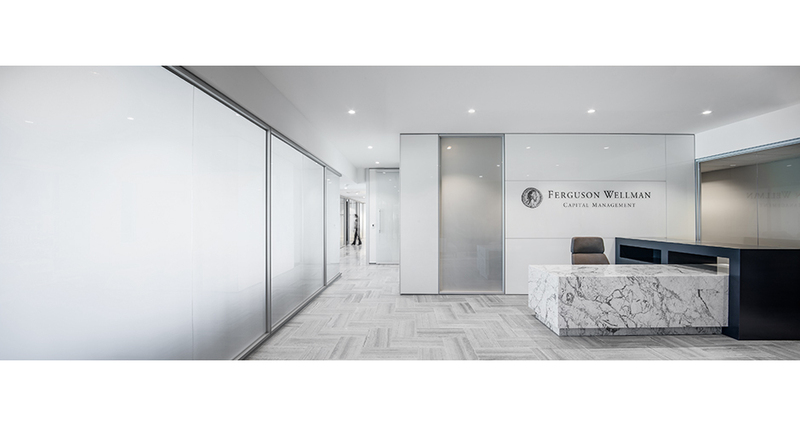 The new workplace needed to embody the traits that Ferguson Wellman value: stability, continuity, and clarity. A trend-chasing or revolutionary change in their workplace wouldn’t be in their best interest. 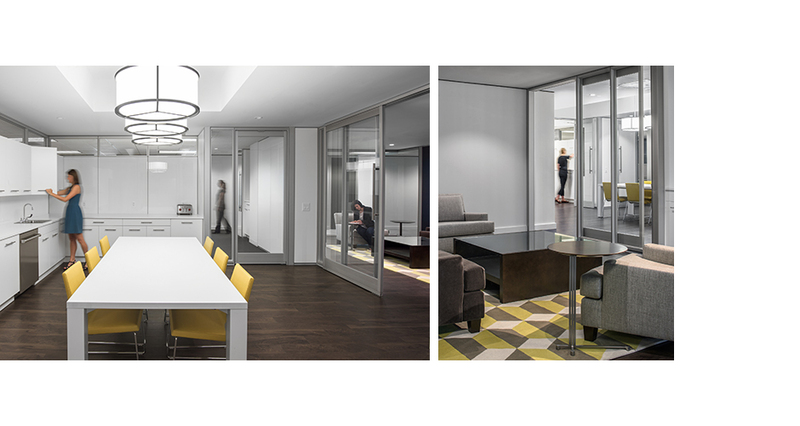 Instead, Mackenzie introduced communal areas which hadn’t previously existed (as shown in the connected living room/informal conference room and break room). The design strengthens community while maintaining the clean classicism the client prizes. This sensibility can be seen in their logo, an ancient coin, and is now further reflected in the design of their reception desk, a monumental piece reminiscent of a stone plinth. The workplace is marked by a new kind of connectivity, and an enhanced sense of arrival. 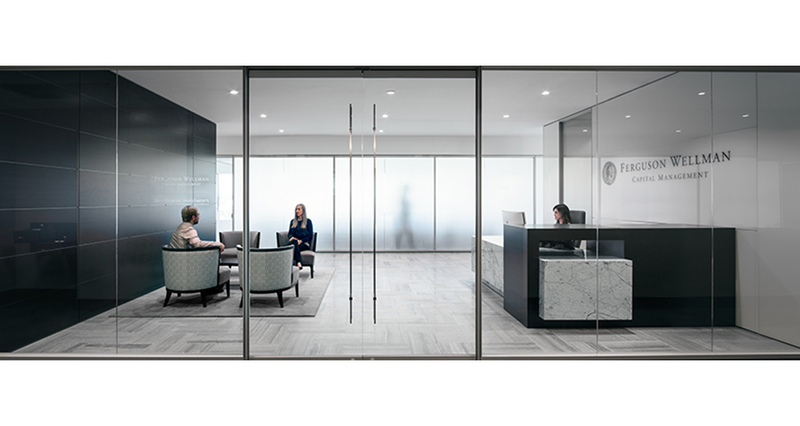 All of the office’s walls and casework, with the exception of the reception desk, are modular DIRTT products, allowing for ease of reconfiguration and mobility. This subtle innovation is representative of Mackenzie’s strategy in general. 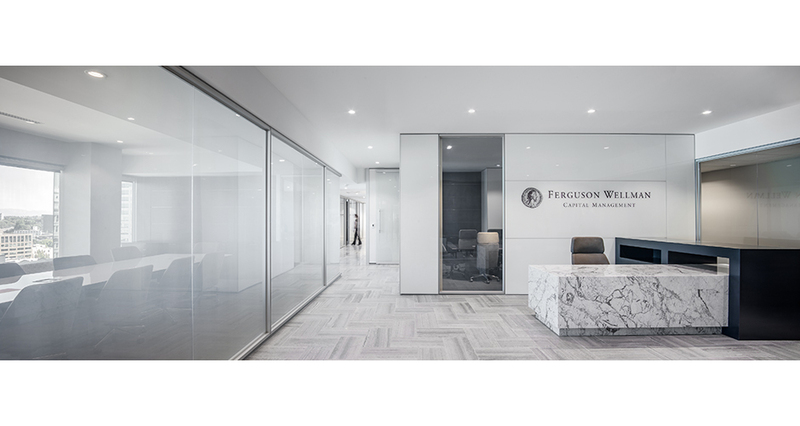 The sustainable update is unnoticeable and seamless, but it means Ferguson Wellman is perfectly positioned for flexibility and evolution, and there will be minimum waste when they exercise their lease option to expand their square footage into adjacent suites. Additionally, since it’s a product-based solution, the design can be easily replicated while maintaining quality control. This provides the client with immediate solutions while delivering the ability to strategically maneuver and reconfigure in the future.